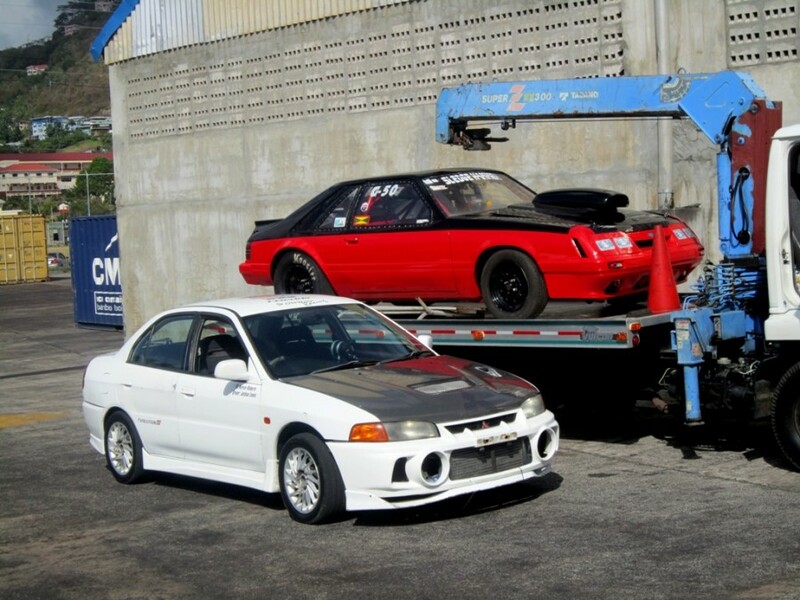 Two local race cars were strapped in a twenty foot cargo container as they depart to participate in what is turning out to be the biggest Drag Racing Event in the English-speaking Caribbean. The Base at Vieux Fort, St Lucia will be the venue to be on Saturday 27 April and Sunday 28 April 2013, as Absolute Promotions stage their 4th Annual “Drag Wars Retribution” Drag Racing Event. Already booked is a huge list of contingents from Trinidad & Tobago, Grenada, St Vincent, Antigua & Barbuda, St Maarten, St Kitts & Nevis, The Cayman Islands, Tortola and of course host Country, St Lucia. The Sea Port, Airport, hotels, car rentals, supermarkets, restaurants and bars are all expected to benefit from the thousands of attracted overseas/international drag racers, crew and spectators attending the event. Sports Tourism is intensifying and the St Lucian Government has pledged their support and recognizes drag racing as a major sporting activity since revenue is being pumped in the economy with international events of this magnitude. Best of luck to our Grenadian contingent! #Respect the Nutmeg!